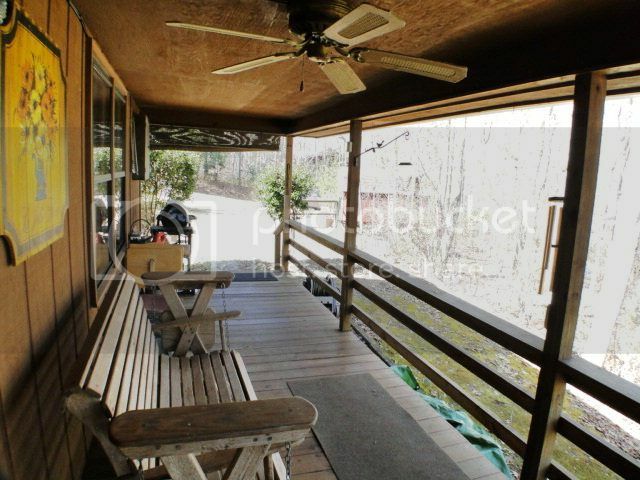 Home for sale with end of road privacy in Franklin NC! 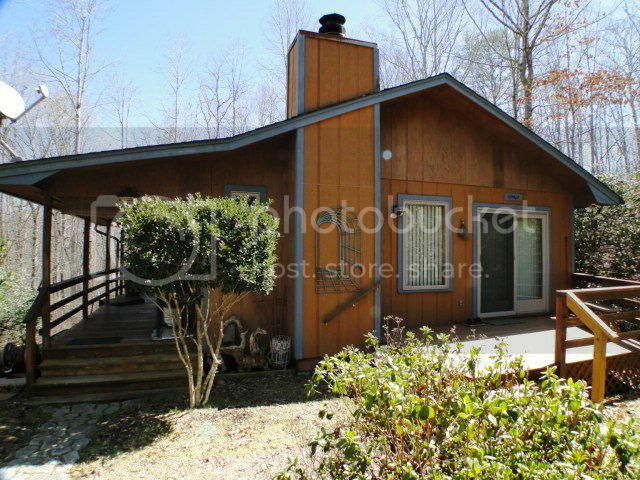 Secluded but not remote and 5 minutes from Franklin NC! 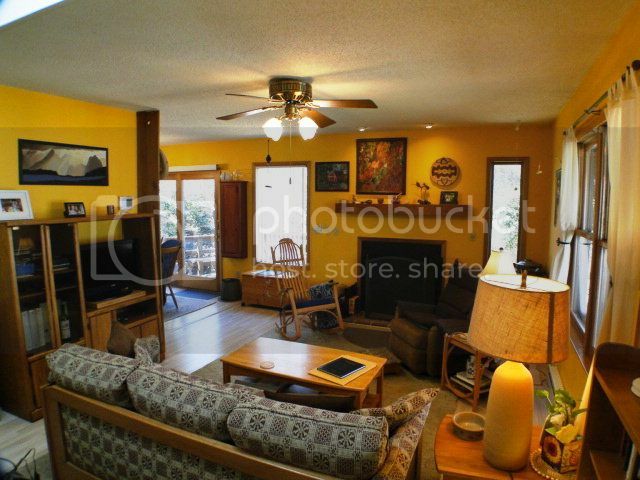 This is a wonderful cabin that has been updated to THE MAX. 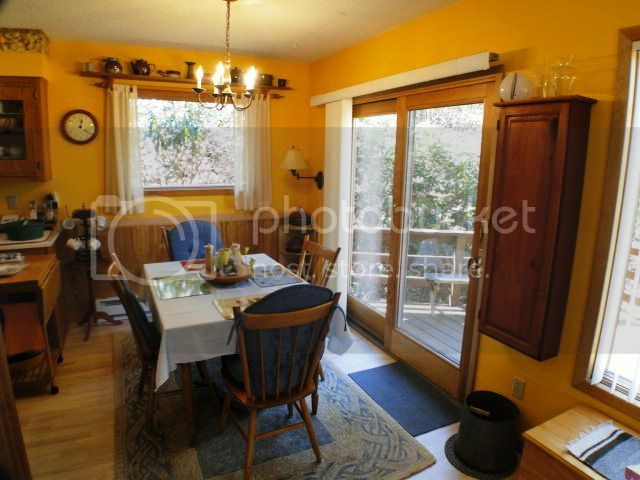 Andersen sliding doors, skylights, new laminate flooring, dual pane thermal windows, and an amazing enclosed sun porch. You'll have everything you need here. Gentle laying property, circular drive, a beautiful deck to enjoy, and a level drive way! This property is comprised of 2 adjoining parcels, each are .72 acres for a total of 1.44 acres. Call or stop by the office today for your showing appointment 828-369-0000. 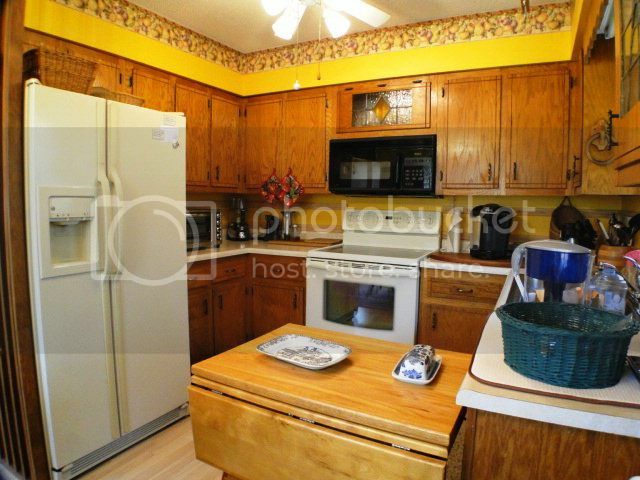 Lot and lots of cabinets and counter space in this stylish kitchen. A clean and simple look with these gorgeous sliding doors. Experience casual comfort in this welcoming living room. Relaxation zone on this covered porch with beautiful views!